Get the Right Size Hosting Plan for your Company’s Needs. Our company started out as a logo design company, but it has expanded to include website design services, and website security recommendations. But lately we have grown to also include consultations on all facets of a company’s online presence. 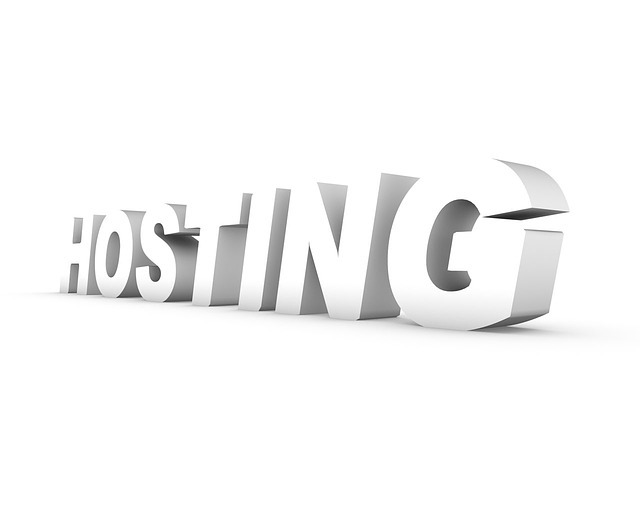 So with that in mind, we’ve decided to tackle a subject that most companies know little or nothing about: web hosting. Many companies are aware that they need a website to help their business. Even if your company’s services don’t have an online component, many potential customers will use the web to find your contact information, or do research on your company. Many web hosting companies are aware that people don’t understand hosting all that well, and try to up-sell you on services that your company does not need. Very few company websites require dedicated hosting plans, and yet there are tends of thousands out there on dedicated hosting plans. So we’ve created a quick guide on what kind of hosting plan you should go for based on your company’s size and number of daily website visitors. Company Size: 300 employees or less. Daily Traffic: up to 1500 visitors per day. Shared web hosting means that your website is hosted on a server with other websites. This is the cheapest of the hosting plans out there. These plans can be had for as little as $1/month, but for your company’s website we recommend a hosting company with more features and security. We recommend Hostpapa’s hosting because it’s all state-of-the-art: SSD Drives (which means faster loading time for your website) and top-end software means that your website will be truly hands off. We recommend Hostpapa for up to 300 employees because their shared plans include up to 1,000 email accounts, as well as 24/7 live support anytime (which is a rarity for shared hosting plans). They have an upper bandwidth limit of 1 Terabyte, which should be enough for most non-media streaming company websites. Like we mentioned earlier, Hostpapa costs a bit more than your average shared plan, but you can use that coupon resource to knock $15 off that first month. You also get enterprise level quality that means you won’t have to worry about your website after setting it up. Company Size: 300 employees or more. Daily Traffic: Anything over 1500 visitors per day. VPS (which stands for ‘virtual private server’) hosting has come a long way in the past five years, and has (in our opinion) completely replaced the need for dedicated hosting. Virtual Private Servers work like this: your site is hosted on a server with other websites (as in the first type we mentioned above: shared hosting). But VPS software allocates resources based on demand. So if your website, or another website gets a lot of unexpected traffic, the software will gather more resources from other servers that the hosting company owns. You only pay for the resources you use. So if your website goes viral, it won’t go offline from the server load (which can happen with dedicated hosting). And if your website struggles to get traffic? You only pay the minimum that your plan demands. For our recommendation, we went with Dreamhost. The plans start at $15/month, but if your website gets really popular, there will be charges proportional to your traffic load (hopefully that massive traffic load turns a profit that more than offsets the costs!). Their VPS hosting plans are brand new with SSD drives (remember that means faster page-loads) and a ‘managed’ component that you usually don’t see until you get into the $100/month payment plans. Basically it means they will give you live advice on setting up your website on their servers and you can call them anytime if there’s a problem. Coupons: use the promo code ‘cjc2off30’ to save…you guessed it: 90% off your 1st year of hosting. Note: Our recommendations for hosting companies are not compensation-based and there are no affiliate links on this site. Our recommendations for web hosting are for informational purposes only. Our company makes money through logo design services only.